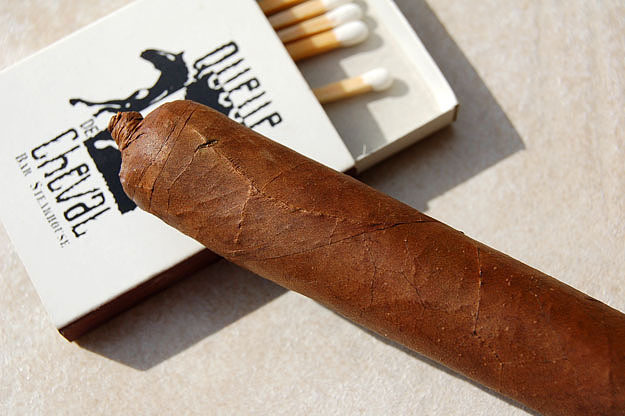 I’ve heard from various quarters that this cigar has gone downhill, but I have yet to smoke a bad one. I picked up a few JFCs to compare them to the JFR (review forthcoming) and both have been outstanding for sub-premium priced smokes– no construction issues, no grassiness. I trust your judgment though. Maybe you got a bad one, or maybe this line is destined for discontinuation. As much as anything, I think the one I smoked just needed time. No single issue with it was disqualifying, but the sum of the small issues made it disappointing.